The multiplayer of the Windows Store will not work with other versions. 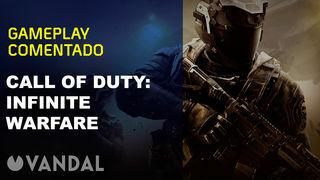 Call of Duty: Infinite Warfare and Modern Warfare Remastered are available in Windows Store, including several special editions such as Digital Legacy and Digital Deluxe. The multiplayer modes of these versions, however, will not be compatible with the users of Steam or other digital stores. As can be read in the page of questions and answers Activision these copies will not be playable with versions bought in other PC platforms. Don’t even have the option to Play Anywhere -order versions of the Xbox One-although this could be expected. Some in the media speculate that could be because, for some technical reason, that the game in the Windows Store is only compatible with Windows 10, while the Steam supports Windows 7 and higher. Call of Duty: Infinite Warfare submit large-scale wars and their usual narrative military, offering us a new story where players will fight against the Settlement Defense Front to defend our way of life through the Solar System. our analysis we have stated that “we have a campaign very fun and spectacular, and a multiplayer with all the vices and virtues of the past years, and for good and for bad, too similar to the last year. What you earn in the campaign (better than Black Ops III), lost in the multi (slightly worse than in the game of Treyarch), and finally the setting is futuristic not us has seemed to be a problem precisely, and in fact we regret that it has not been better exploited in the multiplayer”.